President Nkurunziza leads the ribbon-cutting ceremony to inaugurate the first phase of MAN in Burundi. He says his deepest wish is to see even the most remote areas of the country have internet access. Alongside the official inauguration of digital television, Burundi President, Pierre Nkurunziza, has introduced the optical fibre Metropolitan Area Network (MAN) on this 19 December 2016. The event marked an important step towards the increase of the penetration of information and communication technologies that Nestor Bankumukunzi, the Minister in charge of information and communication technologies, said to be “unsatisfactory” in Burundi. “The MAN will offer a quality service that is unparalleled so far. It has been conceived to be the difference”, said the Minister. 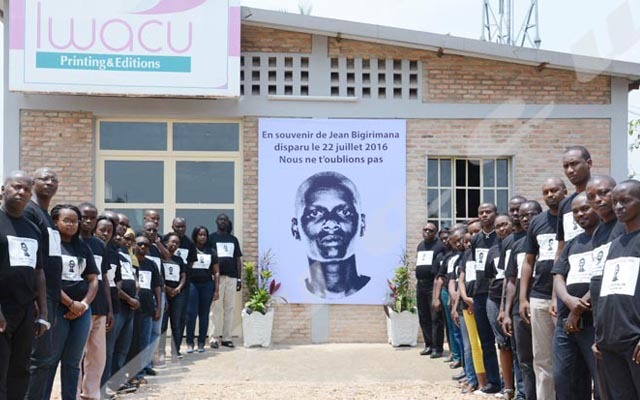 Bankumukunzi also said the government plans to extend the MAN to the municipalities of Ngozi and Gitega (the northern and central provinces of Burundi respectively). The project seeks to cover the entire national territory with internet connection and equip all the villages with solar equipment to allow the population to use the connection. As part of the execution of the plan, the minister said the provinces of Rumonge and Bubanza have been endowed with telecentres and added that ICT clubs are being created at middle and high school institutions. “Advances in ICT are followed by development”, said Bankumukunzi, hoping that the progress in internet coverage will help Burundi to develop. Actors such as private and public business institutions, administrations and the rest of the population will be able to get internet connection tailored to their needs “with an excellent quality and at competitive prices”, said Bankumukunzi. The MAN, that is the least expensive and the most stable in EAC, is more than 200 km according to ONATEL, the national telecommunication company that operates the network for the State. In its 2010-2025 vision and through its national policy of ICT development (PNDTIC), Burundi seeks “to achieve universal access to ICT to accelerate economic growth and become a centre of excellence and regional reference in the ICT sector in 2025”.